Dr. Laura Bontempo received her medical degree from Northwestern University in 1994 and subsequently completed an emergency medicine residency at Northwestern Memorial Hospital in 1998. She spent 5 years at Harvard University as the Associate Emergency Medicine Program Director and then was recruited to Yale University to become the Emergency Medicine Program Director, a position she held for 7 years. 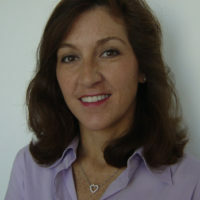 She is currently educational faculty at the University of Maryland Department of Emergency Medicine. Dr. Bontempo received a Master of Education degree with a concentration in health professional education from the University of Illinois Urbana-Champaign. She has received teaching awards in emergency medicine from Northwestern, Harvard and Yale Universities and the University of Maryland. Dr. Bontempo is published in multiple emergency medicine textbooks and has lectured nationally in the areas of cardiology, otolaryngology and helping the struggling learner.